When people say they see their life flash before their eyes, they really do. Recently, I was involved in a car accident and it was the scariest experience of my life. From this I learned how many people are affected by reckless driving and really how important car safety is. It was a normal Tuesday morning and I was on my way to school. Everything seemed normal until it wasn't. All I can remember is a loud noise and a car filled with white smoke. It was terrifying. Did you know nearly 1.25 million people die in car accidents each year, that's 3,287 deaths each day. North Carolina is responsible for 267,494 of those deaths. In 2016 Buncombe county had 23 deaths due to car accidents. Car accidents are the leading cause of death that occurred in 15-29 year olds. Apart from the deaths, another 20-50 million are injured or disabled each year from car wrecks. Worldwide car accident are the 9th most premature death. According to ASIRT, by 2030 car accidents will be in the top five of the most deaths worldwide. In order for this issue to stop, or at least slow down we need to fix it. The most important thing to do is put your seatbelt on as soon as you get in the car so if anything were to happen you would be as safe as possible. The next thing is to always remain focused on the road. If you feel yourself dozing off, pull over and get some water to wake you up, get out and walk around, and if you really have to take a nap because it's always better to be safe than sorry. Don't ever look at your phone while you're driving, whatever is happening on your phone can wait. The most accidents occur during rainy or snowy weather. To stay safe listen to your local radio station to see if it's risky or not to be on the road. When you are driving try and stay mindful of all of these things and keep as safe as you can. I have had dyed hair since the beginning of the summer, sometimes it can be difficult to figure out what’s going to work for your hair, I am here to help you figure out what can help you keep your colored hair in tip top shape. After dying your hair wait approximately 48 hours before watching your hair. This helps it set into your hair, if you wash it directly after dying it, it will fade. Use shampoos and conditioners without sulfates. Sulfates have the ability to damage hair with or without color. Sulfates will drain color in hair. Ion intense moisture conditioner- My hair can tend to be coarse and dry, This conditioner leaves hair soft, silky and does not strip color. It smells fantastic and the amount that you get is great for its price point. It is $10.99 and comes in a 10.5 fl. oz. bottle. Ion moisture shampoo- This shampoo is $12.49 and comes in a 33.8 fl. oz. bottle. It does not strip color at all. It does leave hair very matted but in pairing with the conditioner it leaves hair smelling good. L'Oréal Paris Hair Expert Color Vibrancy Intensive Shampoo- This shampoo is $4.99 and you get a large 12.6 fl oz. bottle. This shampoo can leave hair a little dehydrated depending on your hair type. Barely strips color. L'Oréal Paris Hair Expert Color Vibrancy Intensive Conditioner- This conditioner makes hair pretty soft and silky but you need to leave it in for about 5 minutes for it to work. And again it is $4.99 and it comes in a 12.6 fl. oz. bottle. Gemstone Color shampoo- It is $24.00, which is quite expensive for the small 8.5 fl. oz. bottle. It makes hair smell good and feel good. This shampoo does not strip color at all. The only downside to this is the price for the amount of shampoo. Gemstone Color conditioner- The price for this is $25.00 and again, you only get 8.5 fl oz. The conditioner smells fantastic, leaves hair silky and smooth and it does not strip color at all. Sunburn - Have you ever been to a beach? Have you ever been forced by an adult to wear sunscreen? Do you think they are just putting it on you to be annoying? Well to answer your question, they're not. Sunburn and sun poisoning are very harmful and can cause severe skin burning and blistering, massive fluid loss and dehydration, loss of bodily fluids, and infection. Sometimes, too much exposure to the sun and severely untreated sunburn can cause shock or poor circulation to vital organs such as your brain, heart, kidneys, liver and lungs. Sometimes in rare cases, you can die from sunburn. The two most common types of burns are first and second, second degree burns result or end up in redness on your skin and even blistering. Extensive heat is also a very important but very harmful thing. Heat is one of the leading weather killer in the U.S . It causes more deaths than floods, hurricanes, lightning and tornadoes combined together! Here are some things to look out for to know if your burn is severe or not: A headache, chills and a fever… if you have any or all of these symptoms that are accompanied by sunburn seek medical help right away! Rip Currents - Rip currents are accounted for 80% of rescues usually done by surf beach lifeguards. What are rip currents? Rip currents are powerful channeled currents of water pulling away from shore that can easily pull swimmers out to the ocean. Rip currents can usually occur or extend from shoreline, through the breaking lines and the surf zone. Here are some tips to help you make sure to not get pulled out to sea: recognize the danger of them, don't fight it if you get caught, make sure you always swim at a beach with lifeguards or professionals around, swim parallel to shore, swim back to shore or land at an angle. Lightning - It is never okay or safe to swim during lightning. Lightning regularly strikes water less than land, but when it does strike the ocean or water that you are in it conducts and spreads the electricity… it can even kill fish and hit boats nearby. Their is also no safe place in the water during any kind of storm! Here are some tips and ways to stay out of the storm: Go into substantial buildings, and hard topped cars or vehicles. Rain shelters, small sheds and open vehicles are not safe to be in, and at least wait 30 minutes till you hear the last crack of lightning. Sharks - Shark attacks or getting bit by a shark are slim, especially when you're on shore. Some attacks or bites near shore can happen if a shark is in the sandbar or swimming in between the sandbars and can get trapped by low tide. According to ABC’s Amanda Onion, their were 91 incidents of shark encounters last summer. Also if you are near drop-offs that can also lead to one. The chances of getting bit by a shark are 1 in 3,748,067 in a lifetime. Here are some tips to help prevent attacks and to be safe: Don't wear bright or shiny jewelry because it can resemble fish scales, don't swim too far off from shore if alone, always swim in a group, don't go in the water if you have a cut or are bleeding, also avoid very neon or brightly colored bathing suits, don't swim at night or during twilight, and avoid to swim at dusk or dawn if swimming, surfing etc. Falling Coconuts - Now this may sound like a joke to you, “falling coconuts she's gotta be kidding right?” That's probably what you are thinking right now… but think about it. 9 pound coconuts falling from nearly 100 feet off the ground, now that can hurt someone badly. Coconuts can even be more deadly than a shark attack. ABC says that people are more 15% more likely to get killed by a falling coconut than getting bit by a shark. Want to go to Space? Here's How! You may have heard that space travel is getting to be so advanced that pretty soon companies could just send up tourists with a lot of money to visit the cosmos. You could wait around for that to happen, or you could go to school and train to be an astronaut. Within the next few decades, humans could be leaving their footprints on Mars. That means NASA (National Aeronautics and Space Administration) is looking for our generation to take on the challenge. A bachelor’s degree in engineering, physical science, biological science, computer science, or mathematics. At least three years of professional experience after a degree completion, or at least 1,000 hours pilot-in-command time on jet aircraft. The ability to pass the NASA long-duration astronaut physical. This includes distant and near accuracy vision, which should be correctable to 20/20 in each eye. The use of glasses would be acceptable. Astronaut candidates must also have skills in leadership, communications, and teamwork. NASA’s Astronaut Selection Board reviews the applications and assesses each candidate’s qualifications. Then, the board invites about 120 of the highest quality candidates to NASA’s Johnson Space Center in Texas for interviews. Of those interviewed, about half of them are invited back for a “second round”. When the final astronauts are selected, they have to complete a two-year training program. United States Naval Academy. USNA has 52 astronaut alumni and is solely focused on STEM. The United States Air Force Academy. USAFA has 36 astronaut alumni. At the academy, their rigorous academic program balances science, technology, engineering and math with arts and humanities. Massachusetts Institute of Technology. MIT has 34 astronaut alumni. The mission is to advance knowledge and educate students in science, technology, engineering and math that will best serve our nation and world. Stanford University. Stanford has 21 astronaut alumni. Students create and apply knowledge by thinking and doing, preparing for leadership in a rapidly changing world. In high school, you prepare yourself for college, which prepares you for your career. Some helpful classes to take in high school are algebra, astronomy, biology, computer applications, physical science, and physics. With NASA's plans for the future, new astronauts will fly farther into space than ever on lunar missions and may be the first to land humans on Mars. It's a rigorous and difficult journey to even get into the space program but once you’re there, the cosmos is within your reach. United States Air Force Academy, www.usafa.af.mil/. “Academics.” Stanford University, www.stanford.edu/academics/.Dunbar, Brian. “Astronaut Requirements.” NASA, NASA, 8 Apr. 2015, www.nasa.gov/audience/forstudents/postsecondary/features/F_Astronaut_Requirements.html. “United States Naval Academy :: Leaders to Serve the Nation :: USNA.” The U.S. Naval Academy, www.usna.edu/homepage.php. “Web Content Display Web Content Display.” Strategic Plan - Naval Postgraduate School, my.nps.edu/web/guest/strategic-plan. 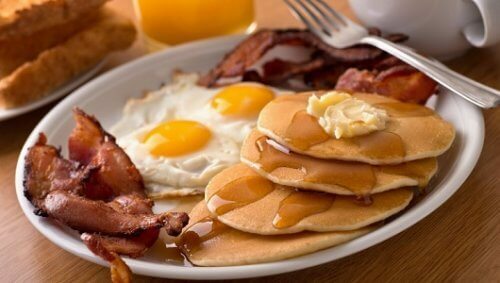 QUIZ: Which Breakfast Food Are You? Quiz: Which outdated meme are you? Flat Rock playhouse is a theatre. You can see times and prices at their website http://www.flatrockplayhouse.org/ each play has a unique feature for everyone. What to do on the weekend when you have only $20. Fun depot is a place where people go for birthday parties or just for fun. Fun depot is an arcade place. If your worried about your babies, they can go too, upstairs there is a play house and it is super fun, and there are inflatables but a parent has to be with them most of the time. I recommend doing laser tag, it is super fun and if you have a big family this is especially going to be fun. It gives you a little competition with your family and you’ll have a blast. I also recommend go-karts, indoor and outdoor. If you're tall enough you can drive yourself, but you have to be eleven or older. Chimney Rock is one of North Carolina’s State parks. In my personal experience, I got to see the mountains and beautiful sights that were unforgettable. You can walk up to the top or even climb to the top according to ncparks.org, but sadly they're not open Wednesday and Thursdays. I think that Chimney rock is one of the best places in North Carolina that you could ever visit. The Cinemark movie theater is a nice movie theater, they have very comfortable seats. On Tuesday it is only 5 dollars!! They even have reclining seats, and when you get there you have to reserve your seat. They have amazing movies there to watch, like the new movies “Black Panther” and “A Wrinkle in time”. While you're there you can recline in your chair and have a good time with your friends or family. Do you like burritos or tacos? Well Mamacita’s is the place for you. Mamacitas is a Mexican food place. It’s full of different varieties of hispanic foods. They even have food for vegetarians. Mamacitas was opened in 2004. Mamacitas is famous for their amazing hispanic inspired food and their variety of food. Do you like jumping? Well Skyzone is the place for you. Skyzone is a super fun place. Sky Zone even has baby places where the babies can jump in a foam pit. Do you also like basketball? Well skyzone has basketball, if you're short they have a small goal, if you're mid size they have a medium size, and if you're tall they have a big goal. They have an obstacle course, it is super hard and if you don't feel like waiting they have two obstacle courses. They also have a climbing wall. The climbing wall is hard too.